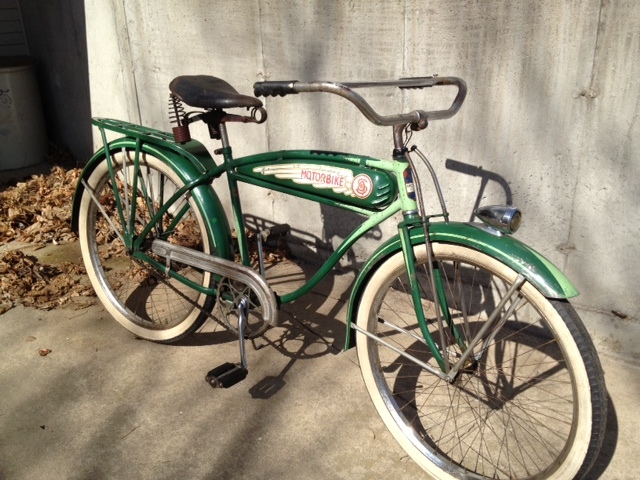 1937 Schwinn Motorbike in green. Four known complete from what I’m told. Badged and sold through Louisville Cycle Supply.